Raw Judita: How Do I Get My Family To Go Raw? How Do I Get My Family To Go Raw? I get this question in my email box so often I decided it was high time to write a blog post about it. I think it's great that so many moms out there are looking to improve their family's diet and I understand what a challenge it is to make changes when you're busy and not sure where to start. I hope the following recommendations are helpful but please feel free to chime in with comments. I'll update this post with feedback from any of you moms who have been successful at this and can offer additional tips. 1. For starters, add in raw and healthy foods gradually while crowding out the unhealthy junk. 2. Take the family to the farmer's market and let the kids pick out colorful fruits and vegetables that they would like to try. 3. Find recipes that are easy that kids can get involved in making. An internet search for "raw food for kids" will give you a plethora of websites. Here's an ebook to check out. 4. Plan ahead what you want to make for the week. Do the food shopping and make components like salad dressings, raw flax crackers, granolas, and snacks on the weekend when (if) you have more time. Make enough to last a couple weeks. 5. Don't put a lot of extra pressure on yourself just to be raw. Do your best and get the healthiest alternatives if you have to buy pre-packaged/prepared foods. Here's a few ideas to get you going on your game plan. Instead of saying, "Let's eat healthier!" say "Let's try some new, fun recipes!" For most, the word 'healthy' translates into 'not tasty'. 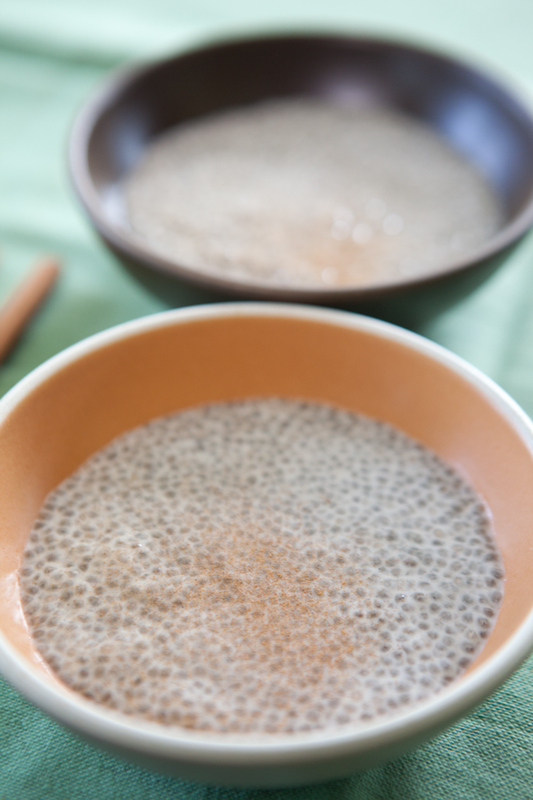 If you've tried raw foods you know that it can be crazy delicious especially the desserts. Switching out processed sweets for raw desserts is easy and no one has to know the better. Get Jennifer Cornbleet's Raw for Dessert: Easy Delights for Everyone for some easy recipe ideas. 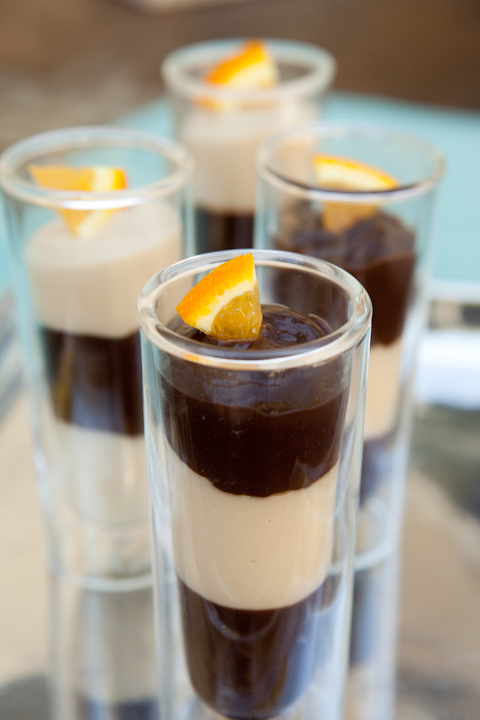 Raw mousse, brownies, apple cobblers are all really easy to make and don't require dehydration. My book Going Raw has some easy chocolate chip cookies, mousse, brownies and ice cream recipes as well. If you're too busy to make ice cream at least switch out the nasty dairy ice creams for coconut based ice creams like Coconut Bliss or Purely Delicious coconut ice creams. They are coming out with sugar free varieties made with stevia instead of agave that taste just as good as the leading dairy ice cream brands out there. After you have the family hooked on raw desserts, move on to breakfast. I don't know who is going to turn down a luscious fruit smoothie for breakfast. I like them with almond milk or coconut water and handfuls of spinach and kale but maybe save the green smoothies for another day if you're just starting out. 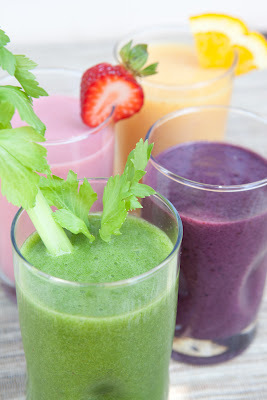 In the morning whip up a some seasonal fruit smoothies and add that into whatever your family's breakfast regimen is. Let the kids pick out their favorite fruits and allow them to make their own smoothies if they like. Down the road throw in a little spinach. It won't change the flavor but will add some great minerals, protein and chlorophyll. Also, throw in a little bit of fat like coconut oil, hemp seeds or avocado so you're satisfied longer. The best thing about smoothies is they're fast and easy to make and the combinations are endless. Sweeten to taste if needed or add sliced bananas, chopped apple or blueberries. You can quadruple this recipe by combining all the dry ingredients and then store in a large container so it's ready to go all week long. If you have a dehydrator then I highly recommend my Maple-Pecan Granola from my book. It's high in protein and really satisfying. For milk, I prefer to make my own nut milk by blending 4 cups water to 1 cup soaked raw almonds or Brazil nuts. Strain and then keep in an airtight container in the refrigerator. If you don't have time to make your own, unsweetened organic almond milk from the health food store is still a good alternative. Another good breakfast idea is chia pudding (see my book) or just a good old fruit salad with nuts and raisins thrown in. Manna bread is great if your family likes bread or muffins. They're sprouted, yeast free loaves baked on the outside but still raw on the inside. The Cinnamon-Date manna bread tastes like the best bran muffin you've ever had. Unfortunately, they're not gluten free. 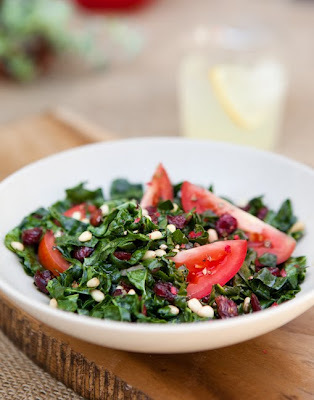 In the warmer months it's a lot easier to get folks eating more salads because it's cooling and light. Instead of making salad just as a side dish though, make it the main course but add in some satiating ingredients like plump heirloom tomatoes, avocado, nuts or raw nut/seed pates, broccoli, fresh corn on the cob, or even some lightly cooked ingredients like blanched asparagus, baked root vegetables, squash, black beans, tempeh, quinoa, millet, or barley or wheat berries if you're not gluten intolerant. The Protein Crunch Mix from my book really hits the spot if you're a protein type like I am. A great raw dressing like garlic tahini or basil vinaigrette will tie it all together. 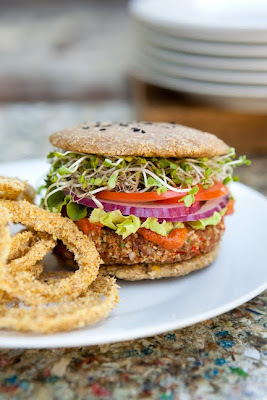 If you have a dehydrator, try making my raw Veggie Burgers. You can serve them wrapped in lettuce or on a sprouted bun with all the fixings. They keep very well in the refrigerator so you can double the recipe and have plenty on hand for a quick meal. 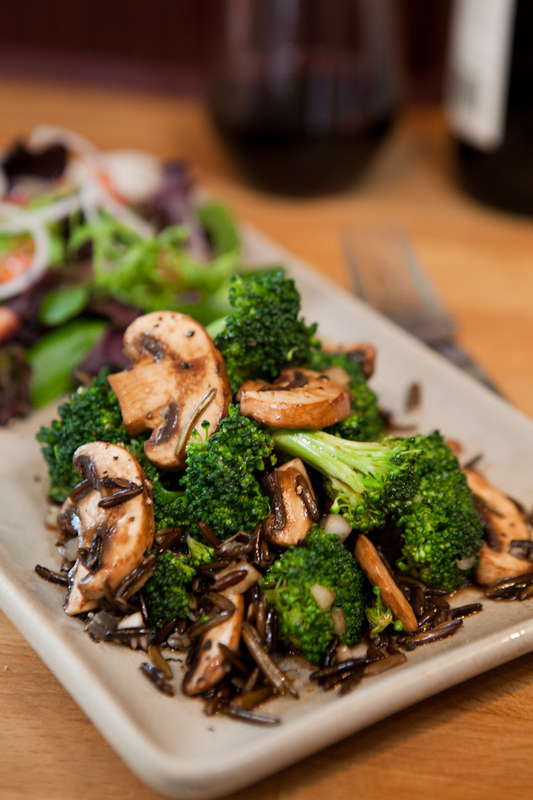 My wild rice recipes are great too if you have a dehydrator. Once you've soaked the rice overnight it doesn't take long to prepare a veggie rice pilaf or my Broccoli and Mushroom Wild Rice recipe. Hearty recipes that don't require a dehydrator are zucchini pasta dishes, veggie sushi rolls and collard wraps. These are great for kids to get involved with as well. Soups are also really easy to make and enjoyable like my Creamy Tomato Basil soup and Cucumber Gazpacho, which is a favorite with my cousin and her three little girls. They loved it so much, they ate it everyday for two weeks weeks. 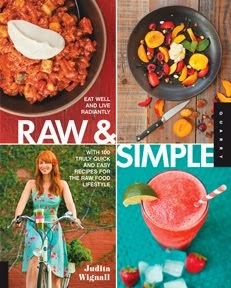 Collect some raw food recipe books for more ideas. My personal favorites are: I am Grateful, The Raw Food Revolution Diet, and Raw Food Made Easy because they're easy and all the recipes taste delicious. My favorite healthy cooked recipe books right now are Color Me Vegan, Vegan Table and Vegan Yum Yum. Also easy and with some rawish recipes. You can also find tons of free recipes online. Do you have any tips to add to this? Would love to hear how you got your family to go more raw! Great post, Judita! No pressure - no hype - just rawsome information. The links and recipes you included will facilitate the ease of dipping ones toes into the pool of "raw." When I switched over to raw, my hubby followed suit after he saw the transformation in me ten-fold. It's quite contagious (how can it not be?) once you try it! :-) Thanks for sharing ... you are such an inspiration and a wisdom pool! Rawk on! I like the "no pressure" idea when eating healthy. This post encouraged me and made me realize that some things I am doing right. It's hard when I think extreme. You have reminded me that it doesn't mean all or nothing. Little by little. Great post.